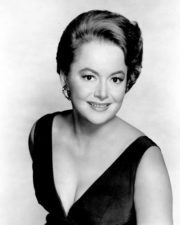 As someone who was briefly and incorrectly portrayed in a Tv series produced by Ryan Murphy, I can understand why Olivia de Havilland sued the producer and his show “Feud” over her portrayal. One works hard to build a career and a reputation, only to have it trashed (in Livvie’s case, not mine) in the course of an hour. But Miss de Havilland’s arguments didn’t satisfy the court. A three-judge panel has tossed out the defamation suit she brought, in a ruling that affirms the right of filmmakers to embellish the historical record.